Styled with sheraton pant . 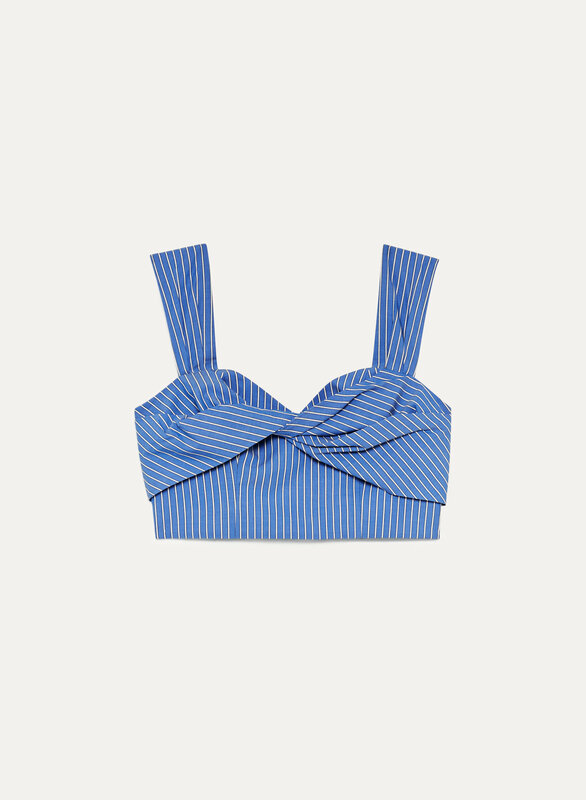 The Ida is cut from cotton poplin that's woven in a modernist striped pattern. Strategic seaming and a double-lined bodice create a structured feel, while the cropped fit pairs perfectly with high-rise bottoms.